Of course it’s more natural for bees to build their own combs. But is it the best for bees and beekeepers? 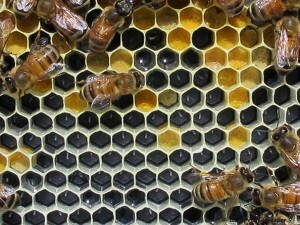 There’s been a lot of discussion about natural beekeeping. First let us be clear. Natural beekeeping is an unnatural expression. Any kind of beekeeping by a beekeeper is not natural, for bees anyway. When that is said we have to say there are different grades of naturalness in beekeeping. I want, and the eccentric beekeeper wants enough naturalness to be able to call our beekeeping natural, or rather natural enough for the bees and thus also for me as a beekeeper. Even if a bee colony in a hollow tree never will be beneficial for the commercial beekeeper to make him make a living of beekeeping, it certainly will help us understand how close to its natural way of living we can design our way of keeping bees. I’m convinced such an approach will help the small scale as well as the large scale beekeeper – and the bees. But where do we meet in design, the bees and me? Well, we have to begin living together and we have to find out by learning to listen to the bees and find out what I really need to make a living, small scale and large scale. 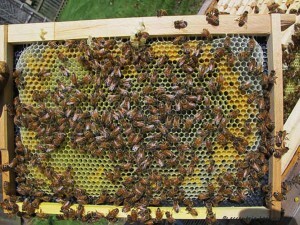 Foundationless frames where the bees draw their own combs may well be a good choice. 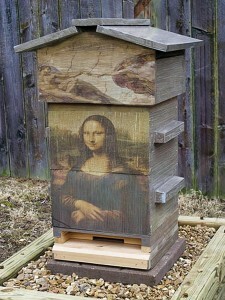 Before wax foundation was invented all beekeepers used it, one way or the other. Langstroth for example. Today I don’t do it. For a couple of reasons. First, my first goal is to achive bees that can handle the varroa mite on their own. Until they do, I have decided I want to help them with the cellsize they naturally draw in the core of their broodnest, around 4.9 mm. At my latitude maybe somewhat bigger. 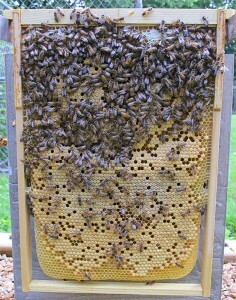 I may be wrong, I may be right: whichever It seems my bees may today be developing true resistance, not only tolerance. Mann Lakes 4.9 plastic foundation(frame) cut to fit into small Warré frames. 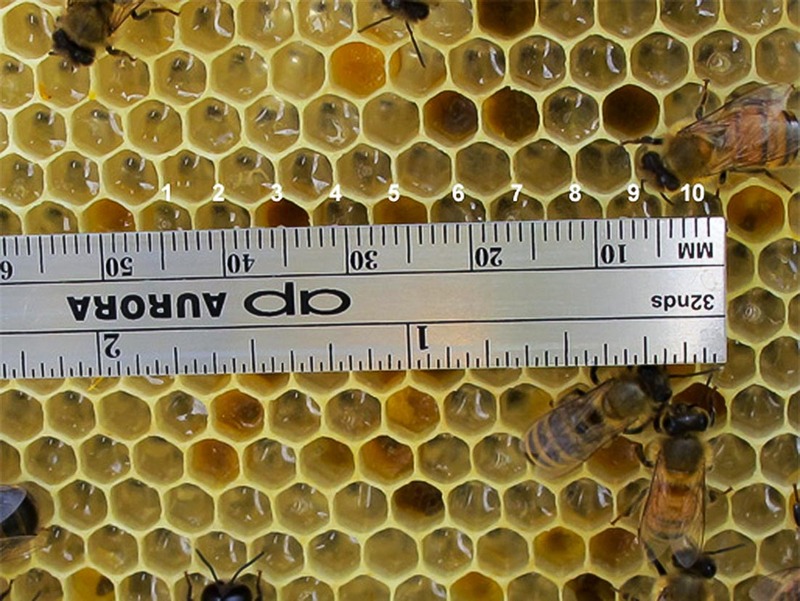 The bees have usually no problems drawing the foundation correct and use it readily, whichever bees you use. 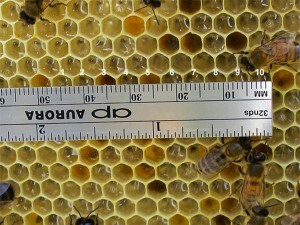 He uses the standard plastic frame from Mann Lake Ltd to take whichever bees to small cellsize. http://www.mannlakeltd.com/beekeeping-supplies/category/page19.html Then he lets them loose. Some of them even draw 4.7. 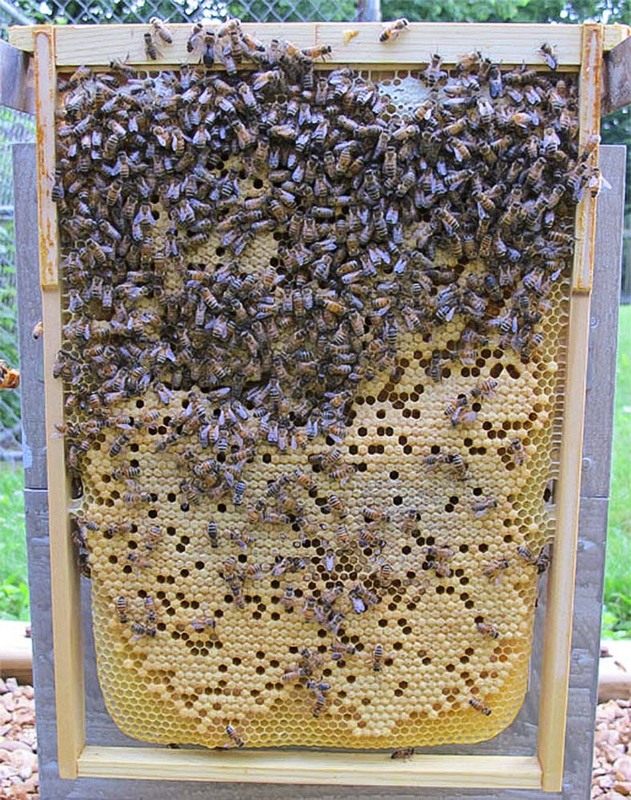 Foundationless frames given to the bees, below the other combs, after they have made use of the plastic frames. Cellsize on the long foundationless frames – 4.7 mm. Pictures supplied by the eccentric beekeeper. This entry was posted in Cellsize, Disease resistance, Management, Varroa and tagged cellsize, foundationless frames, natural beekeeping, plastic frames, resistance, small cells, varroa by Erik. Bookmark the permalink.